Heroes of the Storm fans are in for a treat this weekend, as the most important tournament of the year reaches its conclusion. The 2018 Heroes of the Storm Global Championship Quarterfinals are scheduled to start on November 2 at the Blizzard Arena Los Angeles, Burbank. The group stage is behind us and four out of the 12 participating teams have already been eliminated. They all receive $10,000 for their effort, but the remaining eight will compete for the biggest chunk of the guaranteed prize pool. We know the names of the eight teams that will play in the quarterfinals and Bet-At-Home already has the odds available for these matches. The 2018 Heroes of the Storm Global Championship has a guaranteed prize pool of $1 million, with half of the amount going to the winner. With so much money up for grabs, the stakes are as high as they get and the playoffs promise to be amazing. They will be played in a single elimination format with the winners being decided at the end of a best-of-three series. Two of the quarterfinals will pit the best teams in the world against ambitious challengers and the odds reflect the nature of these lopsided matches. Gen.G lost a single match in the group stage and will play against TheOne, who were defeated on five occasions. GG.bet offers odds of only 1/10 on Gen.G to prevail, while the underdogs enjoy odds of 5/1. TheOne are the team with the most draws in the group stage, but this time three matches are played, so there’s no possibility for the series to end undecided. Dignitas are the only team not to lose a single match at the 2018 Heroes of the Storm Global Championship. With 10 victories and just as many games, they are not surprisingly big favourites to advance to the semifinals. ArcaneBet offers odds of 1/10 on them to triumph, while their opponents are once again priced at 5/1. As kickoff draws near, the bookmaker will also provided punters with the possibility of betting on the number of games in each quarterfinal. Team Liquid have qualified from the third-place team Group A, but they can brag about defeating the mighty Gen.G. This explains why Betway credits them with the first chance and odds of 2/3 against HeroesHearth. Both teams have finished the group stage with a 7-3 record, but those who bet on the underdogs can expect odds of 11/10 on their victory. The fourth quarterfinal will be played between Tempest and Miracle and the former are favourites to advance. 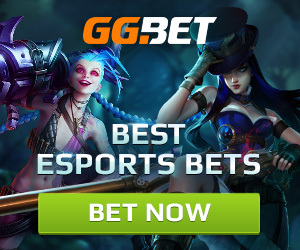 Esportsbetting.com only offers odds of 2/3 on them to prevail, even though they finished with a 5-5 record in the group stage. By comparison, Miracle have won four games and lost just once, while amassing a massive 12 points. This makes the odds of 11/10 offered by Buff88 on their victory quite tempting.